All-new for 2019, Cross of Glory Nursery School is pleased to offer a Summer Camp Program for children 2 1/2 to 4 years old. This is a great way to have your child continue to grow over the summer! Unable to come for all 5 weeks? You may sign up for specific weeks for just $150 a week! 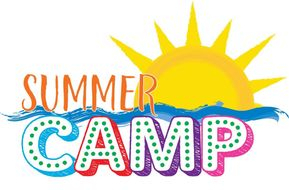 To register and reserve your child's spot or to request additional information, please contact the Nursery School Office or Ms. Taryn Leary, Summer Camp Director at 908-420-0029. ©2019 Cross of Glory Nursery School of Aberdeen, New Jersey.